The developer of this Expert Advisor is Arturo Lopez, founder of Point Zero Trading Solutions. The Parabolic Sar is one of the most popular basic trading strategies. to buy or sell, and the faster PSAR determines the exit level. 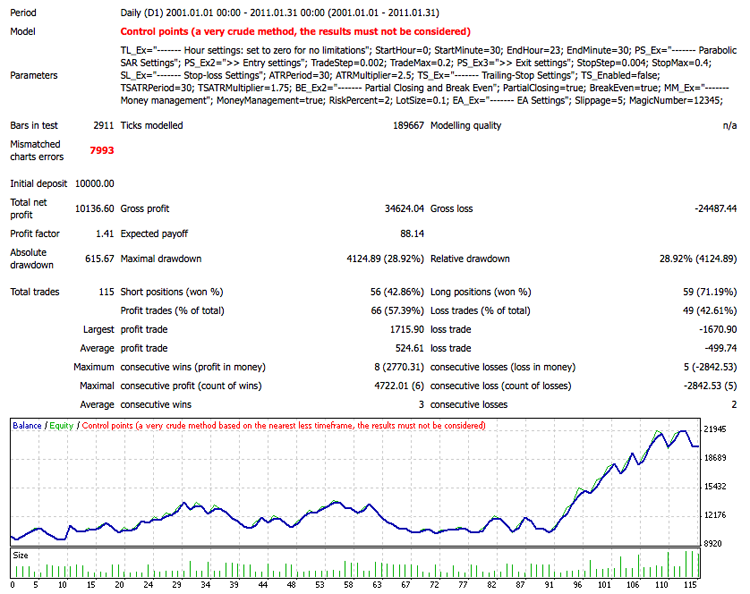 It is a very good semi-automated trading tool for intraday trading.